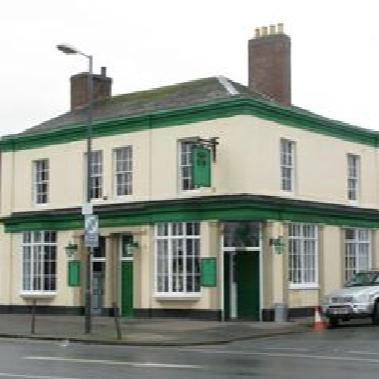 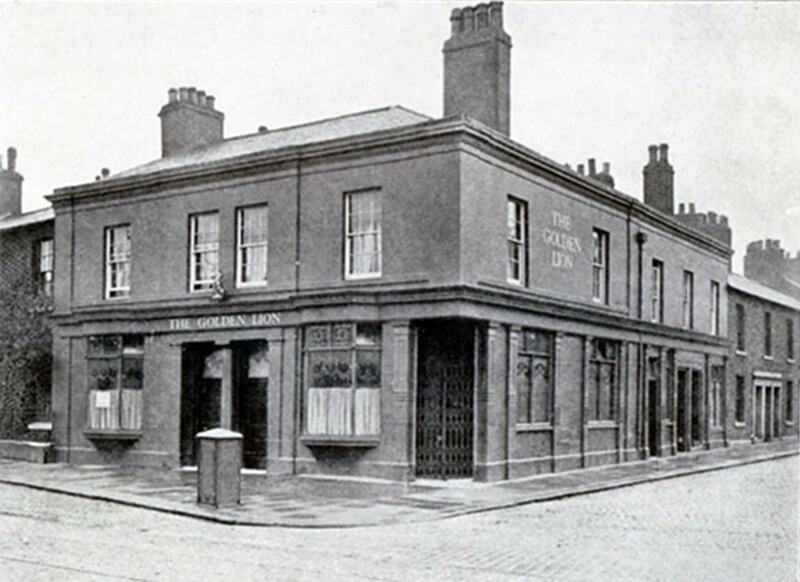 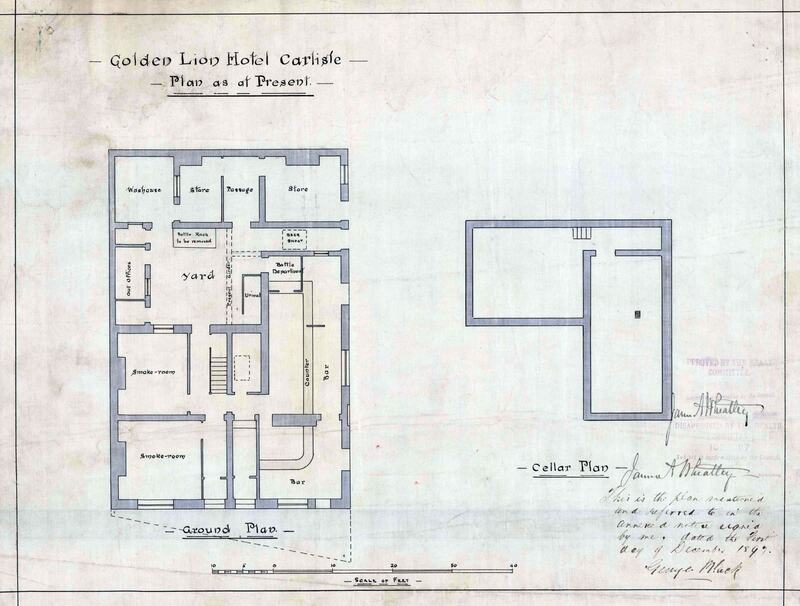 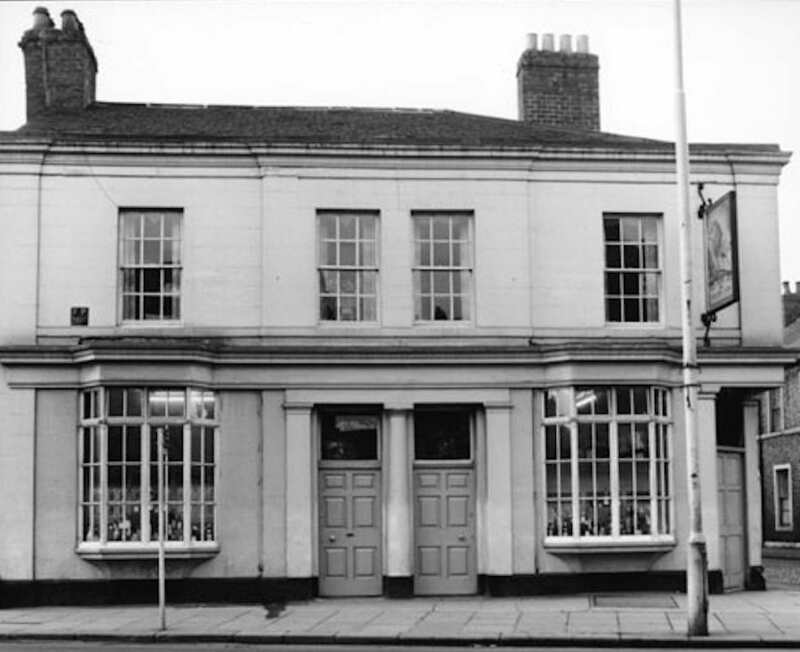 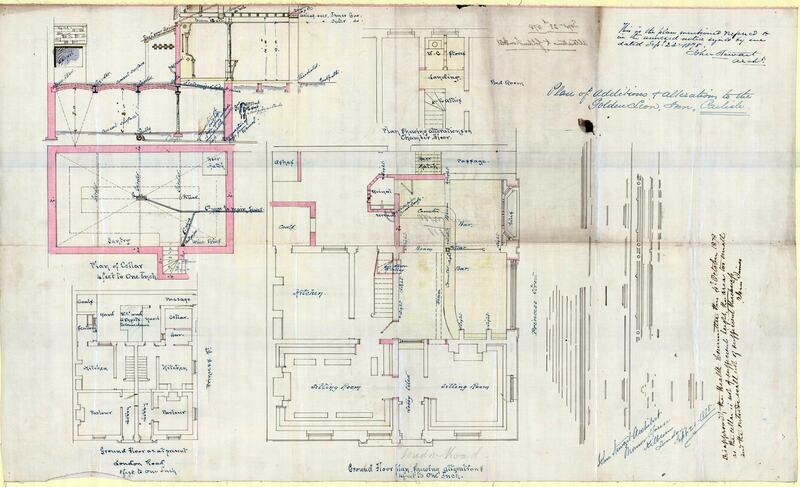 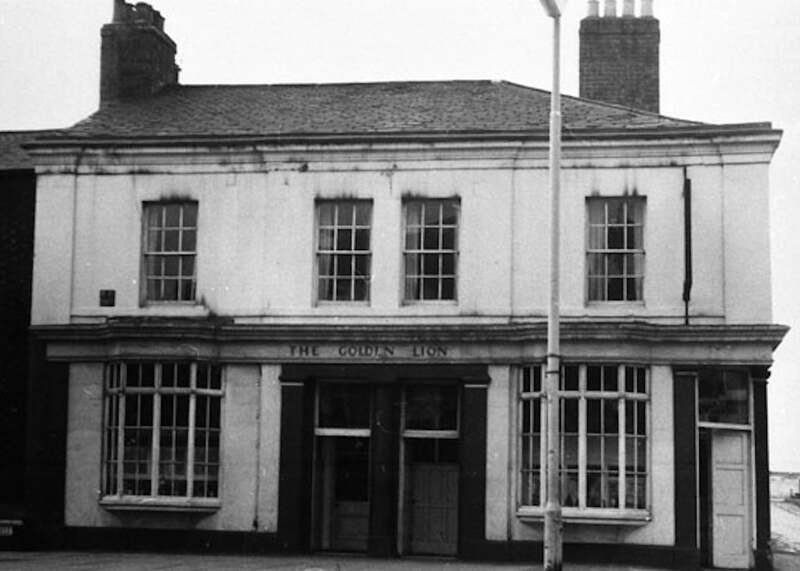 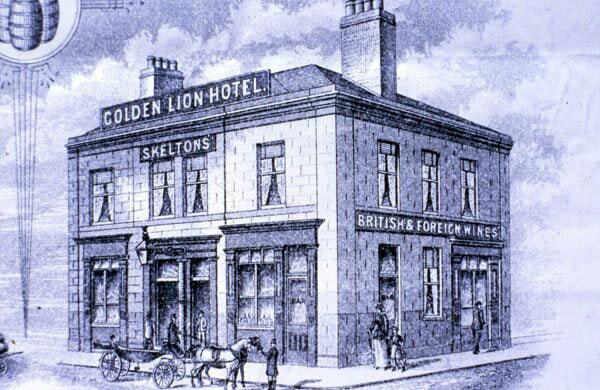 The Golden Lion was built in the mid-nineteenth century and was first recorded as a pub in the 1855 directory. 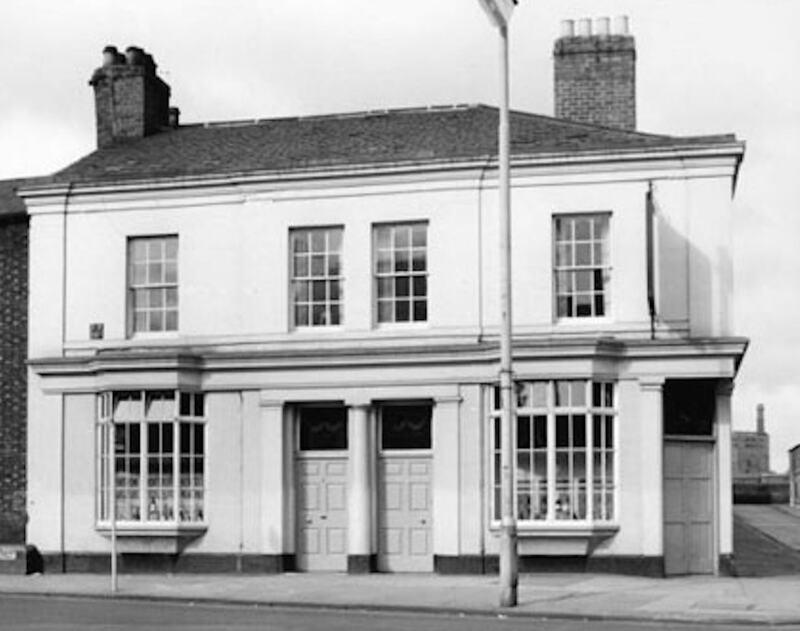 It was bought by Worthington’s the brewers from Burton on Trent for £10,000 in around 1897 from the T&H Skelton wine and spirit merchants. 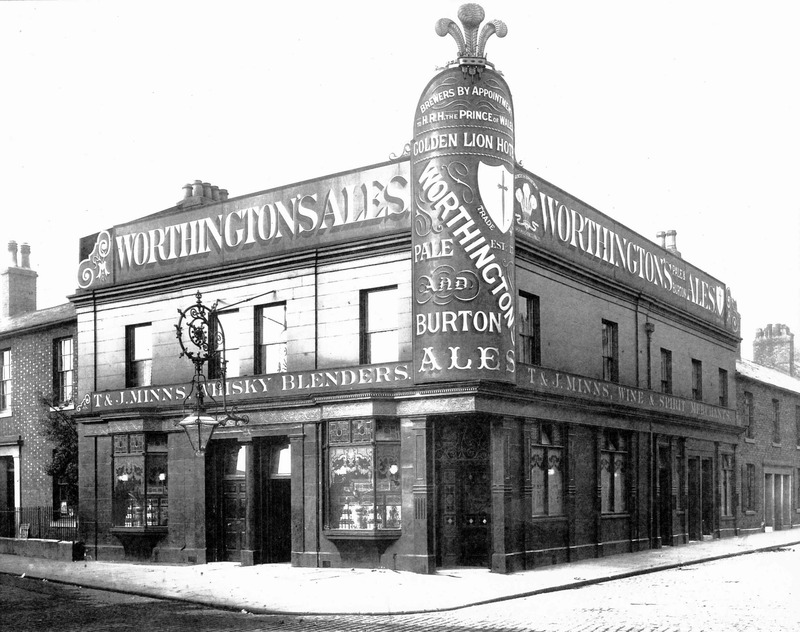 They made considerable alterations including fitting bay windows, a new corner entrance and barrel shoots to the cellar which were accessed from trap doors on the main street front and noticeably major changes to the façade embracing the Worthington sign. 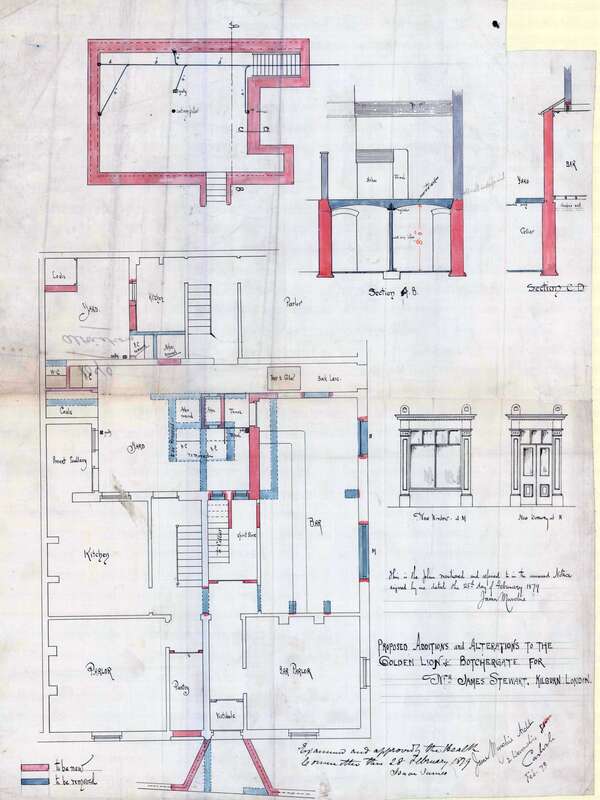 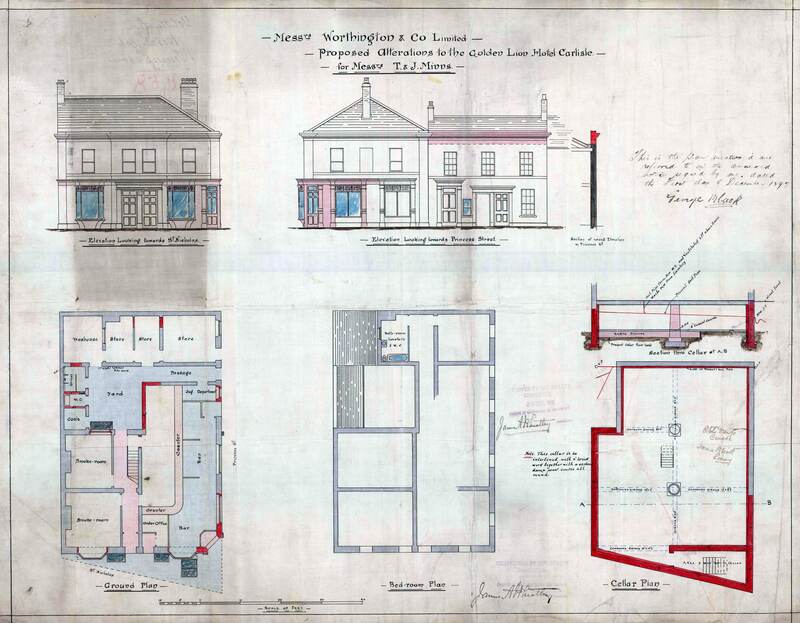 The Scheme, in keeping with their philosophy of no external advertising, removed all the exterior adornments that Worthingtons had added.